Mrs. Fields® was determined to create cookies and brownies that were "lusciously soft," as if they'd just come out of the oven . . . that's why our cookies and brownies are so irresistible. 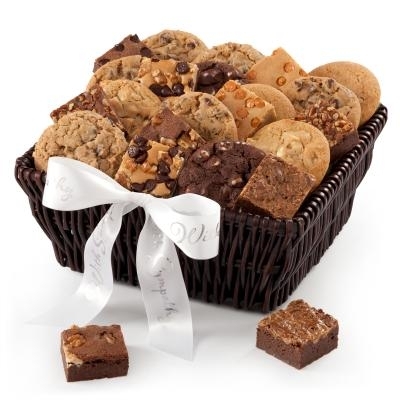 We'll send great wicker cookie baskets of our most popular flavors.